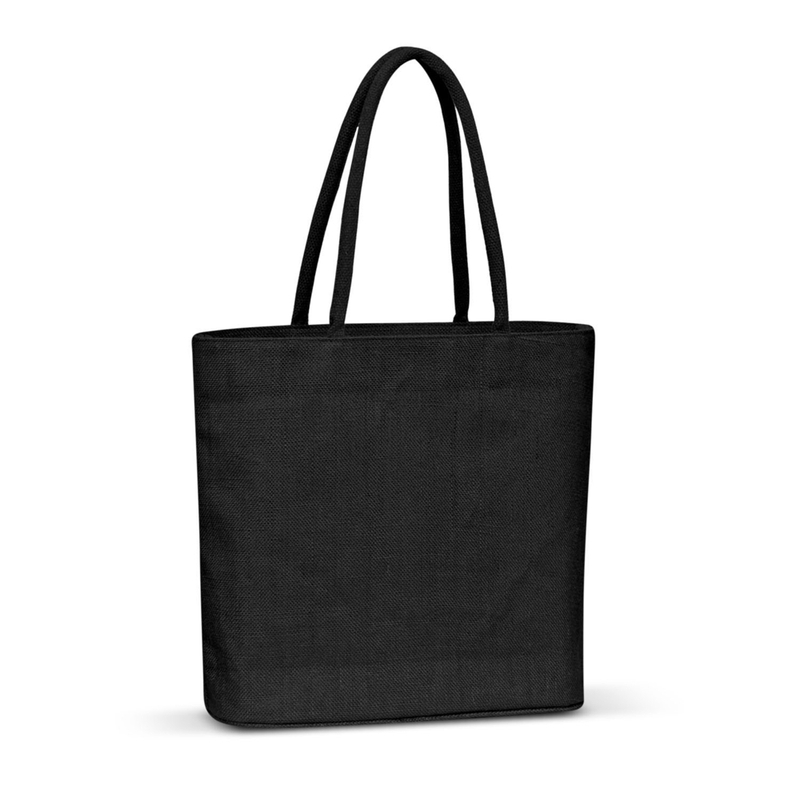 Delightful high fashion laminated natural jute tote bag with padded cotton handles. Rounded gusset and a sewn in base for added capacity. Carrera has a natural version as well as the choice of three dyed colours. H 360mm x W 460mm x Gusset 120mm (excludes handles). Handle Length: 590mm. One colour pricing.